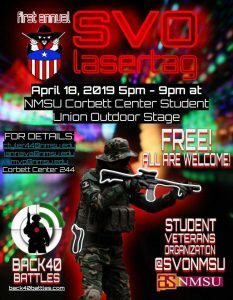 First Annual LASER TAG event at NMSU 😀 !!! Hosted by the Student Veterans Organization. Don’t miss out on this exciting FREE event, OPEN to ALL STUDENTS!